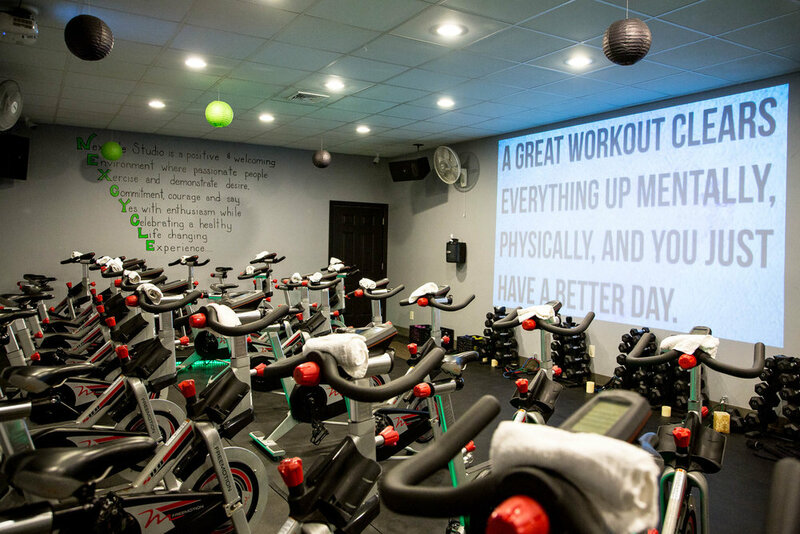 NexCycle Studio is a boutique studio that has revolutionized indoor cycling and has taken the most motivational, inspiring, and talented instructors to provide engaging and energizing, workouts that benefit both the mind and body in an intimate setting. NexCycle Studio has a theater screen that will take you on journeys throughout the world and bring the most exciting and motivational music videos to life. Beyond providing a cardio workout we offer strength training classes geared to your own level. All of our classes will help build mental strength and develop a positive "CAN DO" attitude. We are determined to provide our community of clients with an invigorating workout no matter what your fitness level is.